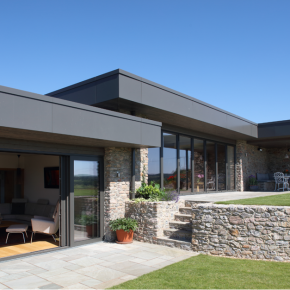 The theme is ‘bigger, better, breathtakingly beautiful’ and the aluminium systems company will be displaying its range of aluminium window and door products on stand N10. Reynaers’ brand new Slim Line 68 window completes the range of specialist systems that are ideal for the trade market. The SL 68 has a huge range of design options, has industry-leading thermal insulation and meets PAS24 and Secured by Design standards. In addition, this security is enhanced with hinge-side security brackets, a multi-point locking mechanism and lockable handles. Double and triple glazing is available for the window system and benefits from U-values as low as 1.1 W/m2K. Its window energy rating is up to A++ and innovative adjustable corner profiles for bay and bow windows are also possible. Reynaers’ stand will also feature the Secured by Design-approved CF 68 folding door system, which has a unique adjustable side jamb for ease of installation. Also on show will be the lift and slide CP 130 system, which boasts a high quality stainless steel mechanism, optional slim meeting section and industry-leading performance. This system also meets Secured by Design standards.